Subaru Head Gasket Repair - What You Need To Know! If your considering replacing the head gaskets in your Subaru then read thru this Q&A. We will be answering some of the most popular questions asked by Subaru Owners. If your experiencing intermittent overheating, loss of antifreeze or vent heat coming and going this may pertain to you. Is my Subaru even worth putting the money into? If your Subaru was performing the way it should before you started noticing the symptoms and you enjoyed it. Then the odds are that it is worth repairing and you will start enjoying it all over again! Subaru Love! Is it time to replace the timing belt? Clutch Assembly? Motor Mounts? When replacing the head gaskets, the engine does come out of the car. With that being said that’s the perfect opportunity to replace the timing belt. Replacing the timing belt, clutch or mounts can usually be done for the cost of parts and a slight amount of additional labor. Why not do it all while your there right? Do you have any problems that you have been putting off or ignoring? If you have been putting repairs off or trying to tune out that problem this may be the best time to address those concerns. Make sure you tell your service advisor about any other concerns. That way we can help you make the best decision on your investment. After replacement, how long does the head gaskets normally last? We normally see the heads gasket last 100,000 miles to 160,000 miles on the 2.5 4 Cylinder. We expect the head gaskets to last just as long. What does the head gasket job consist of? The Subaru head gasket job consists of the following. Is there anything else that should be replaced? We normally recommend replacing the timing belt & components. Most of the time the spark plugs will need to be replaced. It is highly recommended to replace the camshaft and crankshaft seals while we are there as well as repairing any other oil leaks you may have. Sometimes we do find small parts that may need to be replaced based off wear or age. The most common wear items we find are Hoses, Small Sensors, Additional Exhaust Gaskets, etc. How much is the estimated cost of repair? This does depend on the year and engine type of your Subaru. The average base head gasket job for a 2.5-liter engine is $1,500 to $1,800 that’s including Parts & Labor. Adding additional items such as Timing Belt & Components, Water Pump, Spark Plugs & Oil Seals, etc runs in the range of $2,200 to $2700. Your Subaru could be a little more or a little less. This is the average of what we normally see. If your concerned about your cars value and if its worth the repair. We will give you our best opinion on your Subaru’s condition and what will be best for you. ​ 8. How long will you need my Subaru for? Usually the repair takes two to three days. That gives us time to complete the head gasket replacement and road test the vehicle afterwards. The job normally goes very smooth but, sometimes we do run into a parts problem or time delay. We will always keep you updated regardless of the situation. 9. Does this repair cause any other problems? No, the repair normally goes very well and doesn't cause any other problems. But occasionally we do run it a cooling system component failure soon afterwards or ignition system failure i.e. ignition coil or Wireset. 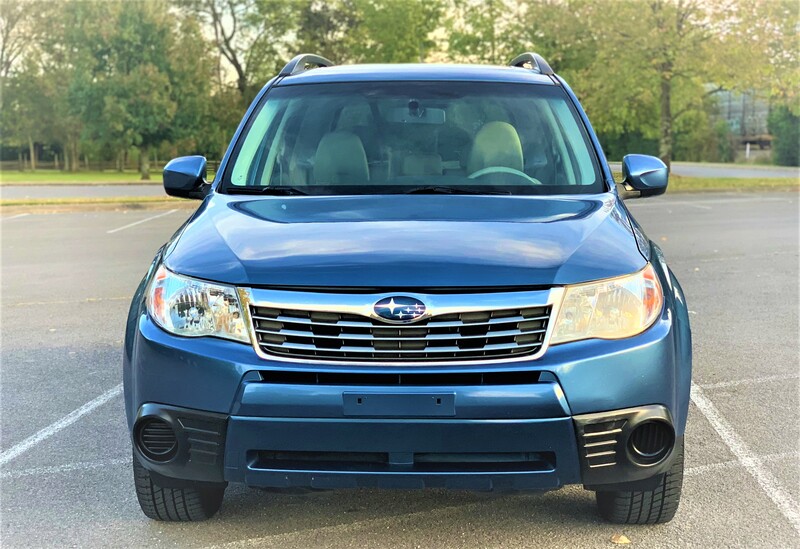 Contact Distinctive Auto Repair if you have any questions or would like to set a appointment for all your Subaru or Car Repair Needs in Murfreesboro, Smyrna or the surrounding areas!